Volunteers are essential to your organization, however, if they are not properly managed they can become a liability. We’ll talk about a few items to be aware of to protect your organization. Kelley Reno Culley is a third generation independent insurance agent. She has over fourteen years of experience in the insurance industry. Kelley started her career with State Auto Insurance Companies as both a personal lines and commercial lines underwriter. As a company underwriter for ten years, Kelley developed experience and a unique education in the insurance industry that makes her an asset to her clients. She is well versed is all aspects of insurance and knows how to get the impossible done for her clients. 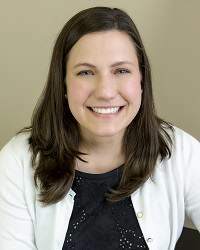 Kelley is a self proclaimed “insurance nerd.” She has an undergrad degree from The Ohio State University in Insurance & Risk Management and an Master of Business Administration from Capital University. Kelley is also a Chartered Property Casualty Underwriter and a Certified Insurance Counselor.